Potato salad recipe contest offers cash prizes, bragging rights, inclusion in a recipe book and a trip to the World Food Championships in Las Vegas for a chance to win $10,000. Reser’s “America’s Best Potato Salad Challenge” is back for the second year and potato salad lovers are invited to submit their original recipes featuring this potassium-packed vegetable. The top nine contest winners will be invited to compete in the America’s Best Potato Salad Championship in Las Vegas at the World Food Championships and have a chance to win the $10,000 grand prize. Recipes will be evaluated based on appearance, taste and originality. Consumers are now invited to go to http://www.resers.com to submit their recipe and find detailed contest information. 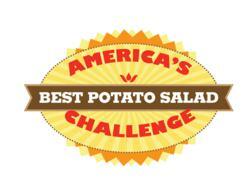 Top 20 winners will be featured in Reser’s “America’s Best Potato Salad” digital cookbook. Top 9 winners will each receive $1,000 plus a $1,000 travel stipend to compete in the America’s Best Potato Salad Championship in Las Vegas at the World Food Championships (Nov. 7-10). Grand prize winner will receive $10,000. Sept. 23, 2013 Reser’s announces the top 9 winners; invited to compete in to Las Vegas! Oregon-based Reser’s is the leading North American provider of deli salads, fresh salads, side dishes and prepared foods. Reser’s makes fun times easy and affordable for every family. Reser’s famous potato salad is a family favorite at picnics, BBQs and tailgaters across the country. Founded in 1950 by Earl and Mildred Reser, the company remains privately owned and operated and committed to providing delicious foods for the supermarket and food service industries. Reser’s employs approximately 4,800 people in 18 facilities in the U.S. and Mexico. Visit http://www.resers.com.